Globally, a burgeoning human population and rise of a middle class are placing greater demands on our planet to produce ecosystem services than ever before. This pressure is particularly acute for current and future demands placed on agricultural land use. Farmers and other land managers are expected to satisfy existing commodity markets (e.g., corn, soybean, forage, livestock), produce options for emerging agricultural markets (e.g., biomass for bioenergy), while protecting water quality, biodiversity, and recreational opportunities. Our global citizenry needs to understand how ecosystems function in relation to the services desired and how land-use choices impact this functionality. 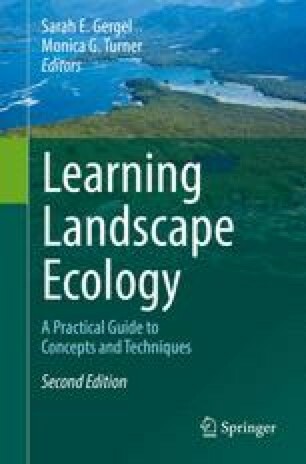 Challenges to developing this understanding are multifold, and include complexities in landscape ecological functionality; time lags and spatial mismatches in how land-use decisions manifest ecosystem services; and cumulative impacts of multiple decision makers acting independently. Furthermore, ecosystem services are not always needed or desired by the people who own the lands that produce ecosystem services. As such, the science associated with different ecosystem services, how they interact, and how people value them is not always well understood.